Decision-making is an integral part of any team activity. Group decision-making involves a sequence of activities that includes “gathering, interpreting and exchanging information, creating and identifying alternative courses of action, choosing among alternatives by integrating the often differing perspectives and opinions of team members; and implementing a choice and monitoring its consequences” (Thompson, 2008, p.166). Sometimes teams can follow a flawed process, by not exchanging enough information and exploring inadequate alternatives, and make erroneous conclusions. Groupthink is one such pitfall of decision-making. The aim of this article is to explore the role leadership plays in enhancing as well as mitigating groupthink in team decision-making processes. Since most important and consequential decisions affecting organizations are made in groups (Neck, 1996), as learning and organizational change practitioner, it is important to be conversant of the conditions and symptoms of this bias, and at the same time know how to mitigate them. Groupthink is a concept introduced by Irving Janis (1972) to describe extreme consensus seeking tendencies in decision-making groups. According to Janis, groupthink is detrimental to effective decision-making in that “concurrence seeking becomes so dominant in a cohesive ingroup that it tends to override realistic appraisal of alternative courses of action” (as cited in Leana, 1985, p.5). In essence, it is a major barrier to attentive information appraisal and processing and inhibits inclusive rationalization. The importance of this phenomenon and the justification of interest in this matter is that many important political, policy and business decisions are currently made in groups, under high-pressure and time constraints, that could result in disastrous consequences if groupthink creeps in. Examples of groupthink can be found in historic events such as the U.S. Invasion of Iraq, Bay of Pigs Invasion of Cuba, the Space Shuttle Challenger Disaster and the Enron-Arthur Anderson scandal. (Thompson, 2008) In each of these examples, leadership style played a key role in enhancing groupthink conditions. Ironically, the role of leadership is also pivotal in ensuring that teams escape the potential pitfall of groupthink by adopting certain practices that mitigate groupthink. Some of these practices have been discussed below. The presence of the following antecedent conditions can lead to groupthink: "(a) High Cohesiveness within the group (b) Insulation of the group from outside sources of information (c) Lack of methodical procedures for information search and appraisal (d) Directive Leadership (e) Homogeneity in members’ backgrounds (f) A high stress situation with little hope of finding a better solution than the one advocated by the leader." (Janis and Mann (1977) as cited in Leana (1985). (g) The absence of disagreement (conflict, hostility) (Courtright, 1978). Groupthink can be diagnosed or observed when most or all of the following symptoms are present: "(a) Illusion of invulnerability (b) Belief in inherent morality of the group (c) Collective rationalization (d) Stereotypes of outgroups (e) Direct pressure on dissenters (f) Self-censorship (g) Illusion of unanimity (h) Self-appointed mind guards" (Janis and Mann (1977) and Meyers (1998) as cited in Nemeth and Goncalo, 2004). A leader is one who has the ability to influence members of a team to work effectively towards their goals. Among the antecedents of groupthink, it is the leader’s role that has received the most empirical attention (Ahlfinger & Esser, 2001). Leana (1985) has found that leader behavior strongly influences the number of alternative solutions proposed and discussed by groups and the actual final decisions made by them. Cognitively complex and open leaders are more receptive to new information and are thus more flexible about their beliefs than their cognitively closed and simple counterparts (Ziv, 2008). While Janis’ (1972) model of groupthink emphasizes that members get influenced by the leader’s suggestions because they identify with the leader’s values and goals, Courtright suggests it’s more of a compliance issue (Courtright, 1977). Leaders do not treat all the members of the team equally and maintain distinct relationships with different members (Thompson, 2008). This can lead to ingroups and outgroups being formed within a team, impacting group cohesiveness. Though Janis (1972) has linked high cohesiveness to groupthink symptoms, Leana (1985) found that cohesiveness has a positive effect in the information gathering stage of decision-making with these “concurrence seeking ingroups” (p. 15) being more watchful in their information gathering which may or may not affect later stages of decision-making. A double-edged sword, group cohesiveness can be affected by leader-member relationships and leaders should be mindful of this fact. Studies have found that group leaders who are high in power motivation foster an atmosphere that is detrimental to group decision-making. In an experiment conducted on college students, Fodor and Smith (1982) discovered that people with low scores on power motivation shared more information with the group and also considered more options before narrowing down on a decision. Though Janis’ groupthink model does not explicitly mention it, leaders can use legitimate, referent and expert power to dole out rewards and punishments and in that affect the decision-making process (Flowers, 1977). Closed leaders do not encourage member participation, state their opinions at the outset and do not encourage divergent opinions from all group members (Neck & Moorhead, 1995). Since closed leaders establish their personal views early in the decision-making process, they reduce the discussion of more alternatives, which can also lead to the fallacies of Common information effect and Hidden Profile. Directive and promotional leaders are closed leaders who promote a particular alternative and ignore others, giving rise to groupthink symptoms and more observable defects in the group decision-making process (Chen et al. 1996). This could rise from confirmation bias and a priority for ego and reputation protection versus finding the ‘right’ solution. When such leaders express a preferred solution early in the discussion, groups are far more likely to adopt that solution as the final group choice (Leana, 1985). It has been found that an effective leader is one who has an open outlook and can don different hats, such as those of a consultant, adviser, and facilitator to meet the requirements of the situation. A good leader establishes a climate that is conducive to expression of both feelings and ideas, and is an antithesis of a closed leader (Neck & Moorhead, 1995). Open leadership styles negate concurrence seeking tendencies by encouraging diversity of viewpoints and by promoting a “group norm of open inquiry into alternative courses of action” (Janis, 1982 as cited in Neck & Moorhead, 1995). Bay of Pigs vs. Cuban Missile Crisis: This is an example of when the same group succumbed to groupthink in one account (Bay of Pigs) and not in the other (Cuban Missile Crisis). While in the Bay of Pigs’ decision-making phase President Kennedy’s closed leadership style had an effect in that he stated his initial position forcefully, in the other case he turned his stance to that of a more open leader, emphasizing the need to canvas alternative solutions. President Kennedy even kept away from some of the meetings in order to reduce bias due to his presence (Neck & Moorhead, 1995). 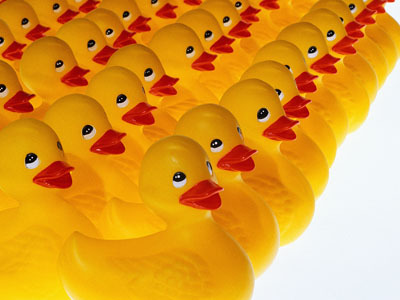 What Can Leaders Do to Mitigate Groupthink? A leader has to maintain a healthy atmosphere of divergent thinking that steers the team away from premature convergence (Small, 2010). In addition to creating an environment of trust and openness, in which team members are encouraged to speak up and critique ideas and opinions without fear of being reprimanded, a leader could make use of the following best practices in order to mitigate groupthink. Use of Devil's Advocate role: Studies have proved that groups using the Devil’s Advocacy approach significantly outperformed those that didn’t (Chen et al., 1996). The Devil's Advocate role is that of a person who takes a position for the sake of fostering argument and conflict and is one of the oldest tools that can be used to mitigate the groupthink bias. Encourage authentic dissent: Conflict in teams is not always a bad thing, especially task and process conflict (For more information refer to Types of conflict). Minority dissent / minority influence often stimulates the consideration of more options (Nemeth et al., 2001). By encouraging authentic minority dissent in teams, leaders can actuate a “search for more information on all sides of the issue” leading to the detection of issues that would have otherwise gone unnoticed (Nemeth et al., 2001 p.708). The downside of this is that dissenters are disliked and treated unfairly (Greitemeyer et al., 2008). So team leaders should establish procedures to protect these alternative viewpoints (Thompson, 2008) and protect minority dissenters from backlash and being relegated to outgroup status. Use the Six Thinking Hats approach: In the early stages of problem solving, it is imperative to explore the solution space, without narrowing down too quickly. To delve deeper leaders can introduce the ‘Six Thinking Hats’ approach that enhances mental flexibility and encourages the team to take a more divergent path (de Bono, 1985). The metaphor of Thinking Hats is attributed to the six “distinct cognitive orientations, each with its own focus, its territory of predilection, its strengths, weaknesses and blind spots” (Varvoglis, 2003, p.7). Use of experts: When an expert is present, groups with directive leaders make better decisions than groups with non-directive leaders”(Smith, 2004, p.46). Better training of leaders in the use of experts could be vital to the decision making process (Smith, 2004). The presence of an expert can reduce the insulation of the group from the outside world. Monitor team size: Team size is positively correlated with groupthink (Thompson, 2008). Though there is no magic number that may work, by keeping a team lean the leader may encourage its members to speak versus conforming to popular views. Encourage diversity: Diversity in groups often facilitates group performance and also reduces group cohesiveness, which in turn increases diverse perspectives (Greitmeyer et al., 2008). Research indicates that when there are many sources of diversity within a team, it becomes difficult for team members to form homogeneous subgroups (Rink & Ellemers, 2010). But while diverse groups are good at generating more ideas, overall task performance is higher in homogeneous groups (Thompson 2008). Use of sub-groups: The leader first creates sub-groups to explore opposing alternatives and then the whole group comes together to debate the options (Roberto, 2001). Refrain from stating opinion: The leader should hold back his/her personal opinions on the outcome and encourage the team members to openly air theirs. This engenders an atmosphere of open inquiry and impartiality. Structure discussion methods and alleviate time pressure: By sharing guidelines on methodical decision-making processes and reducing time pressure, leaders can mitigate groupthink antecedent conditions of lack of methodical principals and stress (Thompson, 2008). By analyzing two consecutive decisions made by the same group of executives at National Broadcasting Company (NBC) Neck (1996) explored the role leadership played in enhancing groupthink in the first case and mitigating it in the second. When Johnny Carson, the 30-year host of The Tonight Show (NBC’s flagship late-night television show), retired, the NBC executive group was faced with two decisions. Who would take over from Carson: Jay Leno or David Letterman? The second decision involved determining what to do with the late night star that didn’t take over the show. In the first decision, all the antecedents of Janis’ groupthink model were present. The decision-making group, led by Bob Wright (President of NBC), was cohesive, insulated from outside opinion, homogeneous and under stress to make the right decision. Wright’s view was that Leno would be a better host and he actively voiced his opinion at the outset, “…NBC had established over 30 years an audience that expected certain things, and Jay Leno looked like the perfect successor to that, while David Letterman remained the ideal performer for the 12:30 show.” No one in the group challenged the leader’s view and NBC chose Leno over Letterman. This decision proved disastrous for NBC as Letterman accepted a contract with CBS for his Late Show and competed head to head with Leno’s show and won the competition in both ratings and advertising dollars. The second decision was regarding what to do with Letterman since they chose Leno for the Tonight Show. In this case all the antecedents of groupthink were present except two: leader preference for a certain outcome and group insulation. Bob Wright maintained a neutral position and encouraged all the members to speak up and the presence of experts checked the insulation problem. This led to a thorough evaluation of a wide range of criteria and careful weighing of associated costs and risks. Analysis of the second decision yields information that proved that groupthink decision-making defects did not occur, despite the presence of some antecedents (Neck, 1996). This study proves that leader behavior and the presence of experts are important factors in moderating and mitigating other existing antecedents and symptoms of Groupthink in team decision-making. While there is no one-size-fits-all approach to mitigating groupthink, keeping in mind that there are no fixed attributes of a group or personalities that may be causing the phenomenon, leadership can avoid the snares of groupthink by: (a) being mindful of the antecedents and symptoms, (b) taking necessary precautions to bypass them and most importantly (c) recognizing the role leadership plays in both enhancing and alleviating them. Chen, Z., & Lawson, R. B. (1996). Groupthink: Deciding with the leader and the devil. Psychological Record, 46(4), 581. Courtright, J. A. (1977, February). Groupthink and communication processes: An initial investigation. Dissertation Abstracts International, 37. Janis, I. L. (2007). Groupthink. In R. P. Vecchio, R. P. Vecchio (Eds.) , Leadership: Understanding the dynamics of power and influence in organizations (2nd ed.) (pp. 157-169). Notre Dame, IN US: University of Notre Dame Press. Leana, Carrie R.. (1985). A Partial Test of Janis' Groupthink Model: Effects of Group Cohesiveness and Leader Behavior on Defective Decision Making. Journal of Management, 11(1), 5. Neck, Christopher P. (1996). Letterman or Leno: a groupthink analysis of successive decisions made by the National Broadcasting Company (NBC). Journal of Managerial Psychology, 11(8), 3. Neck, Christopher P, & Moorhead, Gregory. (1995). Groupthink remodeled: The importance of leadership, time pressure, and methodical decision-making procedures. Human Relations, 48(5), 537. Nemeth, C., & Goncalo, J. (2004, April 16). Influence and persuasion in small groups. Smith, Cynthia A. (2004). Groupthink: The effects of leadership, group insulation, and information availability. M.S. dissertation, Lamar University - Beaumont, United States -- Texas.